The images of floods and mudslides in Kerala, known as “God’s own country”, should be a wake-up call — we should ask ourselves if we are on a sustainable development path. In the 1970s deforestation was leading to landslides and floods in what is now Uttarakhand. The women of the mountains banded together as “Chipko” to stop the logging. I became a volunteer in the Chipko movement. After 1978’s devastating floods, the government realised that the small revenues it collected from extractive forestry in the fragile hills were insignificant in the context of the costs of flood destruction. 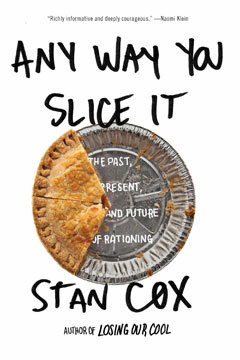 Stan Cox shows that fair-shares rationing is not just a quaint practice restricted to World War II memoirs and stories of gas-station lines in the 1970s.